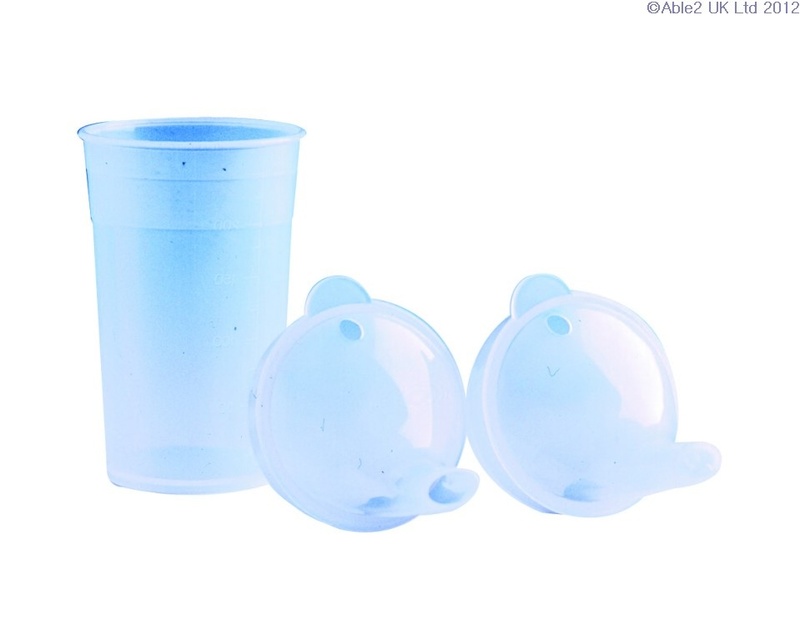 This plastic drinking cup comes with 2 lids with a long spout. Holds 200ml. Dishwasher safe.